Have you had the role of Volunteer at a prior Salt Lake Gaming Con 2019? 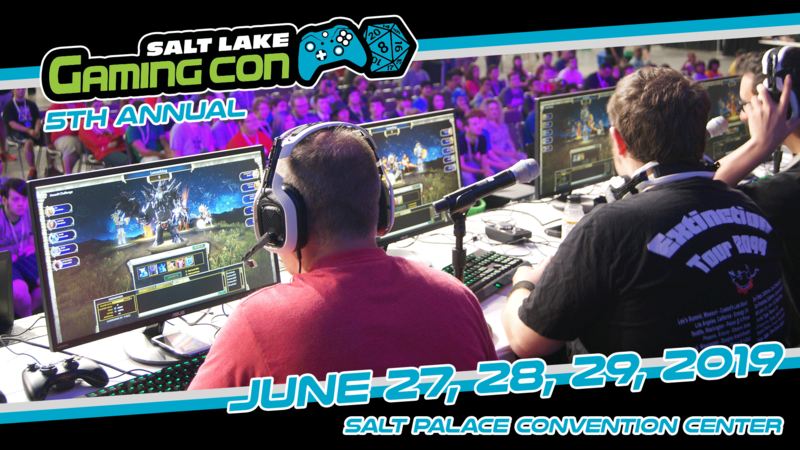 Thank you for your interest in volunteering for Salt Lake Gaming Con 2019. Your time is valuable and we appreciate your volunteering for us. We look forward to working with you on this event. You will receive an email confirmation from tickets@growtix.com when your application has been received and saved. Submission of an application does not guarantee acceptance as a volunteer. I will be 18 years of age or older on or before June 25th, 2019. I have read and will abide by the following Volunteer Agreement. Voluntarily provided information which may include your name, address, email address, home address, photos, etc., shall be collected with your application, at orientation and training, and/or at the start of the convention at volunteer check-in. SLGC will only collect and make use of personal information to assist in the operation of the event and to deter and prevent fraudulent volunteer registrations. SLGC reserves the right to email newsletters and updates regarding SLGC events and volunteer programs that may contain third party promotion(s). SLGC does not now, nor will it in the future, sell, rent or lease any of our volunteer lists and/or names to any third parties. SLGC may disclose your personal information, without prior notice to you, only if required to do so in accordance with applicable laws and/or in good faith belief that such action is deemed necessary or is required in an effort to: (1) Remain in conformance(2) Maintain, safeguard and/or preserve all the rights and/or property of SLGC; (3) Perform under demanding conditions in an effort to safeguard the personal safety of users of and/or the general public. Our Facebook volunteer page does not and will not contain personal information; however, SLGC does not claim nor accept responsibility for any privacy policies, practices and/or procedures of Facebook. Volunteers are expected to abide by all of the policies set forth in the volunteer handbook. Failure to comply with the policies/procedures can be grounds for dismissal from your volunteer position. Make yourself familiar with the volunteer policies and procedures. By clicking agree below, I acknowledge that I am exercising my own free choice to participate voluntarily and promise to take due care during such participation, hereby release and discharge, indemnify and hold harmless Salt Lake Gaming Con and its members, officers, agents, employees, and any other persons or entities acting on its behalf against any and all claims, demands, and causes of action whatsoever, whether presently known or unknown, either in law or in equity, relating to injury, disability, death or other harm, to person or property or both, which may occur from known or unknown causes arising from my participation in Salt Lake Gaming Con and it’s events. I understand, accept, and assume all such hazards and risks, and waive all claims against Salt Lake Gaming Con, and other persons as set forth above. I understand that I am solely responsible for any costs arising out of any bodily injury or property damage sustained through my participation in normal or unusual acts associated with Salt Lake Gaming Con and it’s events. I hereby release indemnify, and hold harmless Salt Lake Gaming Con from any and all liability claims, demands and causes of action of whatever kind and nature, including any injury caused by negligence incurred in conjunction with the Salt Lake Gaming Con 2017. In addition, Salt Lake Comic Con has my permission to use any photographs or videos taken for publicity purposes.